The state Senate bill that was at the heart of Tuesday’s heated school board debate and which some charter advocates consider dangerous to the future of charter schools was pulled for discussion Monday by its author for two years. 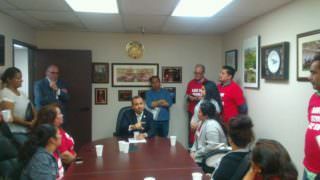 Pro-charter parents who met with State Sen. Tony Mendoza last Friday said they believed they helped sway him to delay the implementation of SB 808. Gonzalez was one of the 14 parents at Mendoza’s office, and she was one of a dozen speakers Tuesday morning protesting a resolution asking the school board to support SB 808 and two other teacher union-backed bills targeting charter schools. The LA Unified board voted Tuesday afternoon, 4-3, to support the resolution. 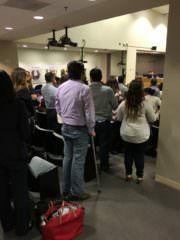 Representatives and parents of City Charter, Academia Semillas, Santa Monica Boulevard Community Charter, and others spoke to the school board just before they went into their morning closed session. Mendoza, who is a former elementary school teacher in East Los Angeles, had decided about a week ago that he would open up his bill for a long discussion and series of hearings in Sacramento before it would be voted on, and he plans to continue hearing from all sides over the issue. UTLA President Alex Caputo-Pearl said union representatives plan to be involved in the two-year discussion over SB 808 and urged the school board to take a stand supporting greater control by local school districts. The bill would prevent an appeal to the county or state boards of education. Caputo-Pearl pointed out that Ref Rodriguez, a board member who co-founded charter schools, expressed concerns many times about being second-guessed by county and state boards after LA Unified rejected a charter application. 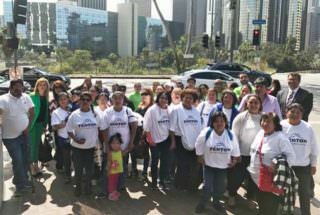 Caputo-Pearl said that UTLA will be meeting in four legislative offices on May 12 to demonstrate their concerns for the bills, including with Ben Allen of Redondo Beach, who is the Senate Education Committee chair.